Humaima Malick is a Pakistani actress and model who appears in Bollywood films. She has possessed an appealing figure and charming face. The actress often comes in the media news for various purposes. Humaima has a reputation as a model and has been a qualified actress both in Pakistan and India. She has won the audience’s hearts through her splendid performances. Humaima Malick was born on November 18, 1987, in Quetta, Balochistan, Pakistan into Muslim parents. In siblings, she has two brothers and three sisters. Humaima started her education in Quetta where she completed her school education and later graduated from Government Girls College, Quetta. After her father’s retirement, she moved to Karachi along with her family. Humaima Malick started her career as a model through a Unilever Pakistan campaign at the age of fourteen. When Humaima was 16, she first walked the ramp for fashion designer Deepak Perwani. Since then she has appeared in fashion shows for numerous famous designers. 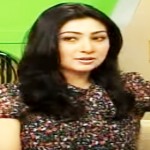 Humaima made her acting debut with the serial ‘Mili Ali Ko Mili’ as Mili in 2008. 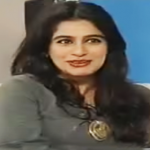 Then she appeared in ‘Ishq Junoon Deewangi’ where she played the most important role Iqra in 2014. After that, the actress starred in several popular television serials including ‘Barish Kay Ansoo’, ‘Aja Mai Tennu Pyar Kara’ and ‘Akbari Asghari’. The glamorous actress Humaima Malick kicked off her film journey with director Shoaib Mansoor’s movie ‘Bol’ in which she appeared as Zainab with Atif Aslam, Mahira Khan and Iman Ali in 2011. 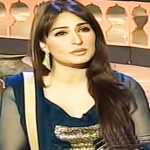 In 2013, she starred in Shehzad Rafique’s ‘Ishq Khuda’ as Rabia. The actress also acted in two other movies ‘Raja Natwarla’ in 2014 and ‘Dekh Magar Pyaar Say’ in 2015. Humaima is currently working in her Bollywood film ‘Sher’ directed by Soham Shaha and has also signed for three films ‘Chitthiyan’, ‘Raja Natwarlal’ and ‘Allahu Akbar’. The beautiful actress Humaima Malick married Shamoon Abbasi in 2009 who is a renowned Pakistani actor but the couple got divorced in 2010. Then media reported that she was then dating with Pakistani legend cricketer Wasim Akram and it was also informed that she married Wasim at the age of 23. However, both of them denied the news completely and were termed as a rumor.